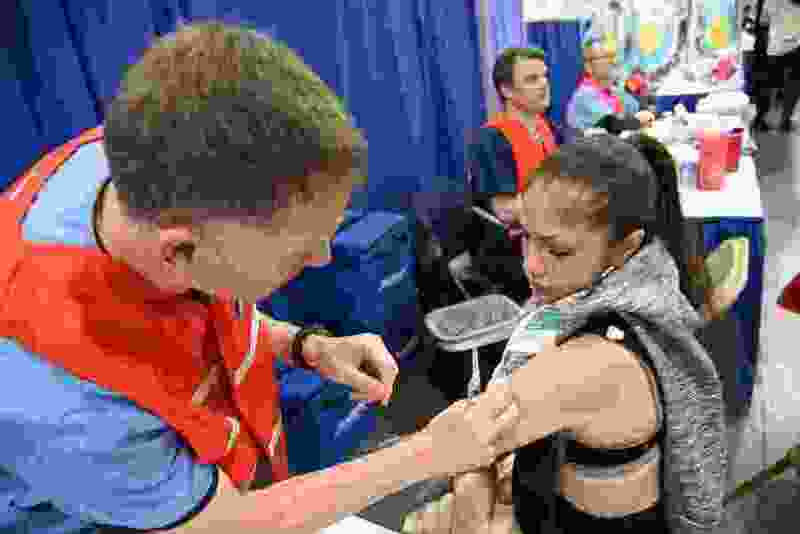 (Francisco Kjolseth | The Salt Lake Tribune) Crystal Yllnas gets a flu shot from public health nurse Pete Stewart during Salt Lake City's Project Homeless Connect at the Salt Palace Convention Center on Friday, Oct. 12, 2018. The event brought together community volunteers to provide services for individuals and families in need or experiencing homelessness. More than 800 community volunteers and 90 service providers connect those in need with more than 200 services. The 2017-2018 flu season resulted in more than 700,000 hospitalizations in the United States, and 183 deaths in children. Overall hospitalization rates (for all ages) during 2017-18 were the highest ever recorded by the Centers for Disease Control and Prevention (CDC) surveillance system. Eighty-five percent of U.S. flu deaths among children occurred in those who were not vaccinated against influenza. Overall, the 2017-18 influenza vaccine was deemed 40 percent effective against the influenza A and B strains. The predominant influenza A strain in 2017-18 was H3N2, and we anticipate that H3N2 will be a dominant strain in 2018-19. Unfortunately, deaths from influenza have already been reported this fall. The most important protection from influenza is the flu vaccine, yet year over year only 40 percent of Americans get the annual flu vaccine. You cannot get influenza from the flu shot. The flu shot is safe to get during pregnancy. Infants as young as 6 months of age can get the flu shot, as should children, adolescents and adults. Older adults should receive “high dose” flu vaccination. While efforts are underway to develop a “universal vaccine” against influenza – meaning one immunization that would protect against multiple strains of influenza – it is not yet available. The flu shot is considered safe. Mild reactions from the flu shot may include redness, tenderness or swelling at the injection site, even low grade fever or headaches and muscle aches. However, these symptoms are generally mild, self-limited, and far less miserable or dangerous than the flu itself. Serious reactions to the flu shot are quite rare. The CDC recommends getting the flu shot before the end of October; however, it is not too late to get vaccinated even into January. It takes about two weeks to develop sufficient antibodies to protect against influenza, so it’s best to get the vaccine before the flu season peaks between December and February. Influenza A results in “respiratory flu” including fever, sore throat, runny nose, cough and muscle aches, and represents the majority of flu cases. Influenza B tends to come later in the flu season (February to April) and may include gastrointestinal symptoms such as nausea, vomiting and diarrhea. The flu shot also protects against influenza B. Additional precautions against influenza include careful hand washing and use of alcohol based hand sanitizer containing at least 60 percent alcohol. To prevent the spread of influenza, people with symptoms of influenza (fever, sore throat, cough, body aches) should stay home from school and work, and other public places. Parents should exercise caution when bringing infants to public gatherings during flu season as they are particularly susceptible to severe health consequences due to influenza infection. The flu shot is covered by most insurance plans. You can get the flu shot from your primary care provider and from local health department clinics. It may be available for free through your employer. You can also get the flu shot without a prescription at most pharmacies. The best strategy to prevent flu is to get vaccinated. Do it now to protect yourself and your family members. 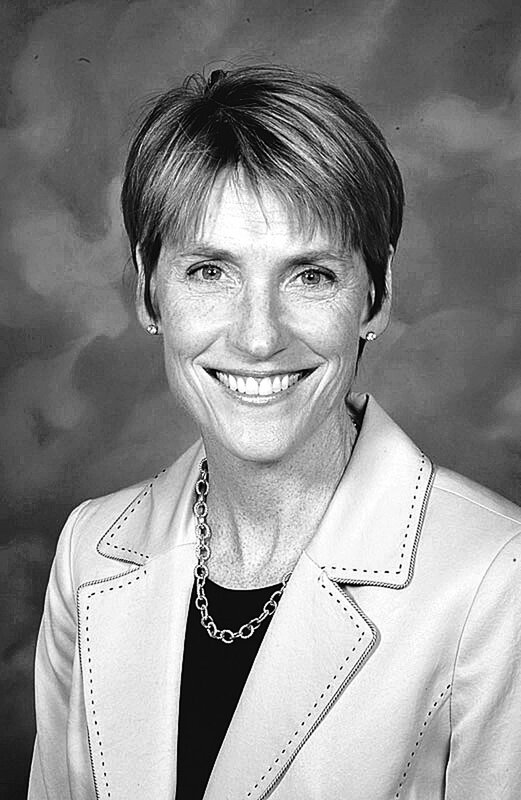 Elizabeth Joy, M.D., is medical director of community health at Intermountain Healthcare. | Courtesy Tamara Sheffield, op-ed mug. 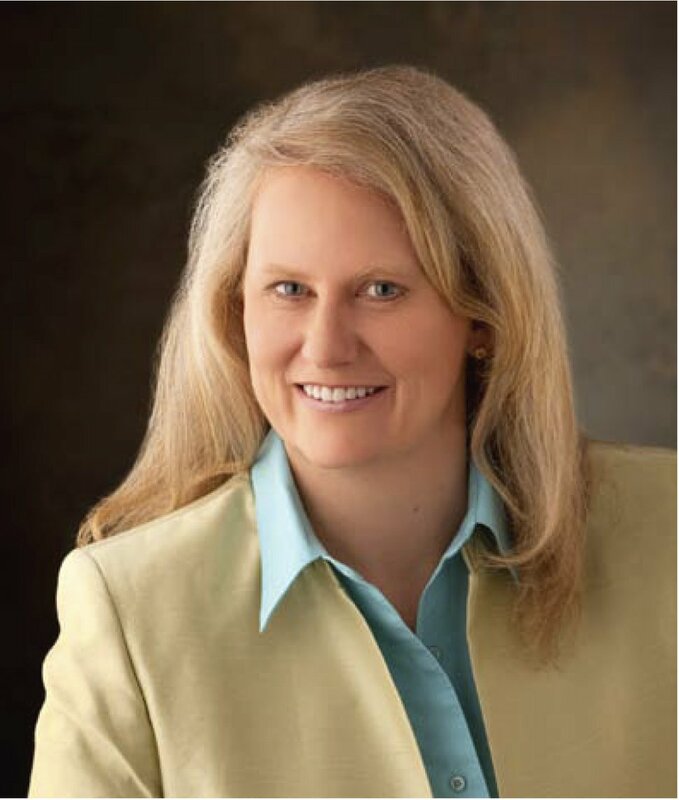 Tamara Sheffield, M.D., is medical director of clinical prevention at Intermountain Healthcare.